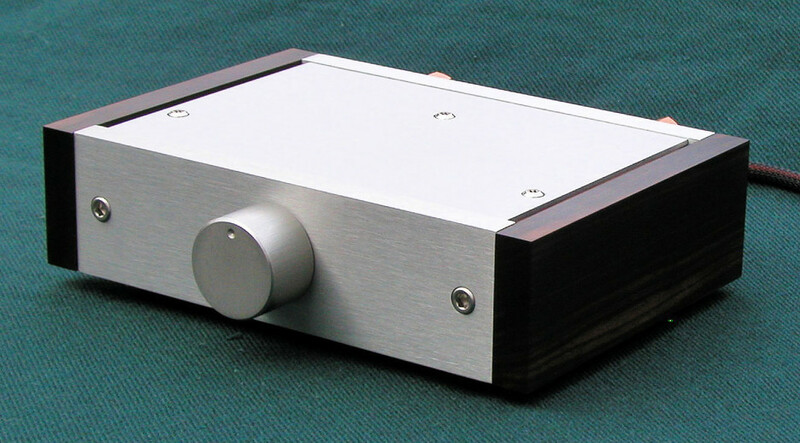 Patek Integrated Amp ads volume control and optional source selector to original Patek Amp design. 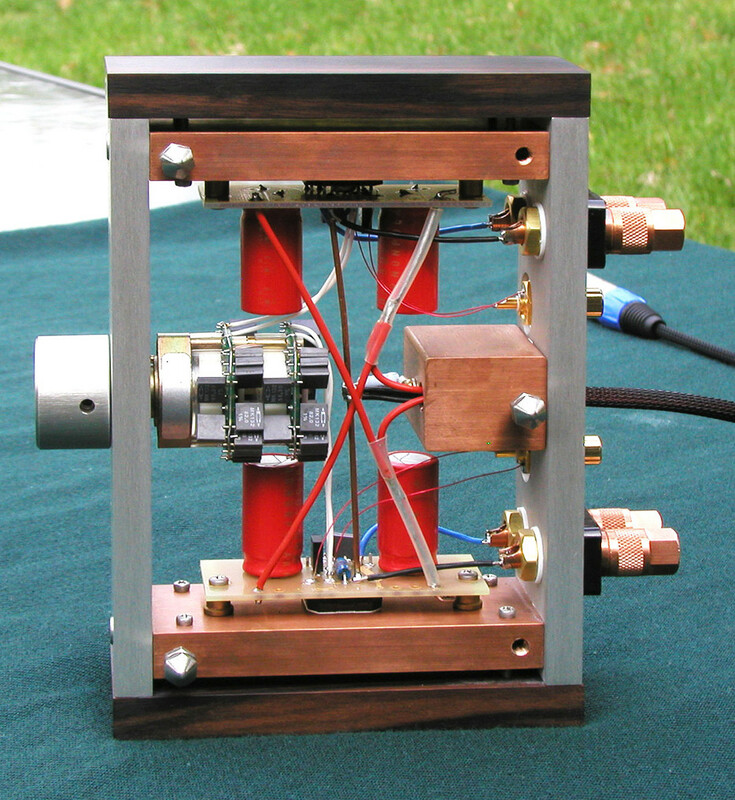 The chassis is modified with two copper side panels and rear foot copper block. 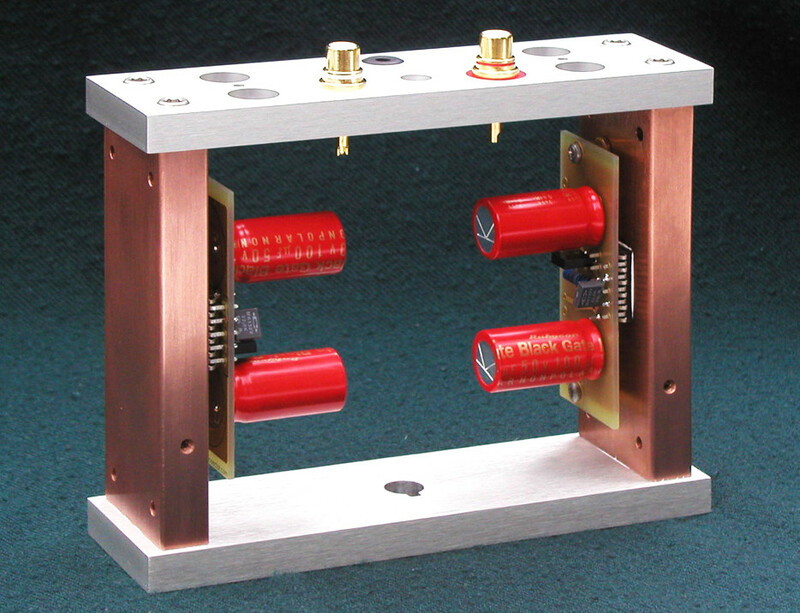 Amplifier modules are installed on the side panels, with volume control in a center. 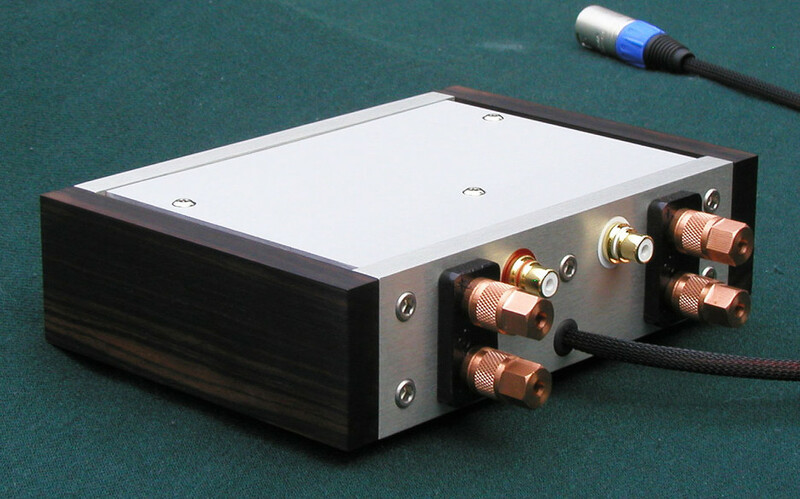 Volume control is built using Elma switch and 44 Caddock MK132 resistors. 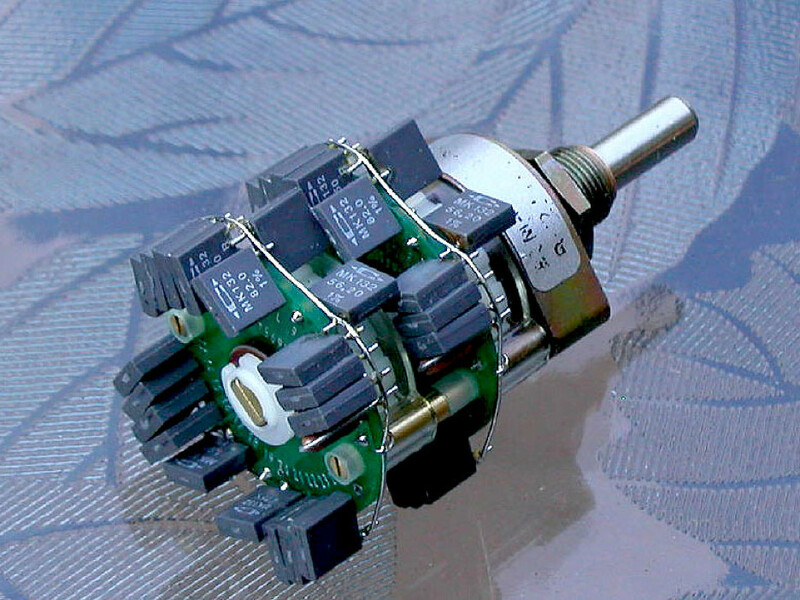 Those are used in shunt position only with fixed 10K Vishay S102 series resistor. 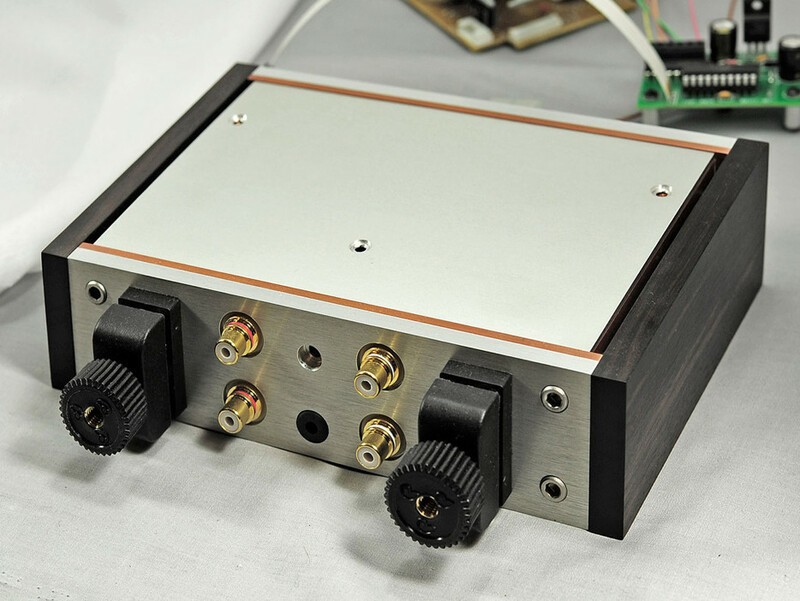 With optional front panel toggle select-able source, there are two sets of input RCAs. 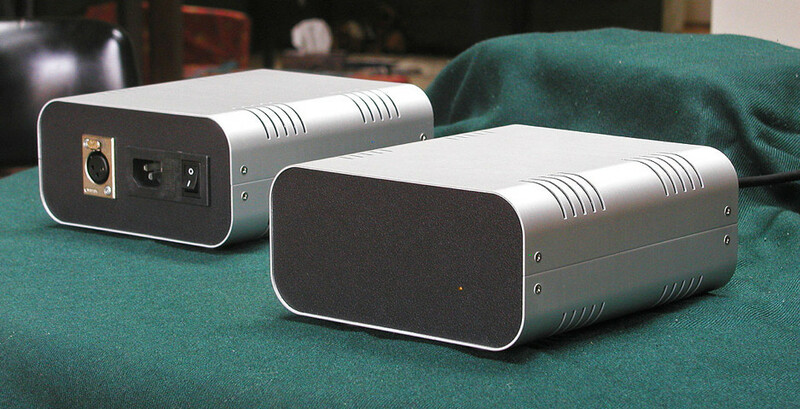 Front and rear panels can be either copper/aluminum sandwich or just aluminum. 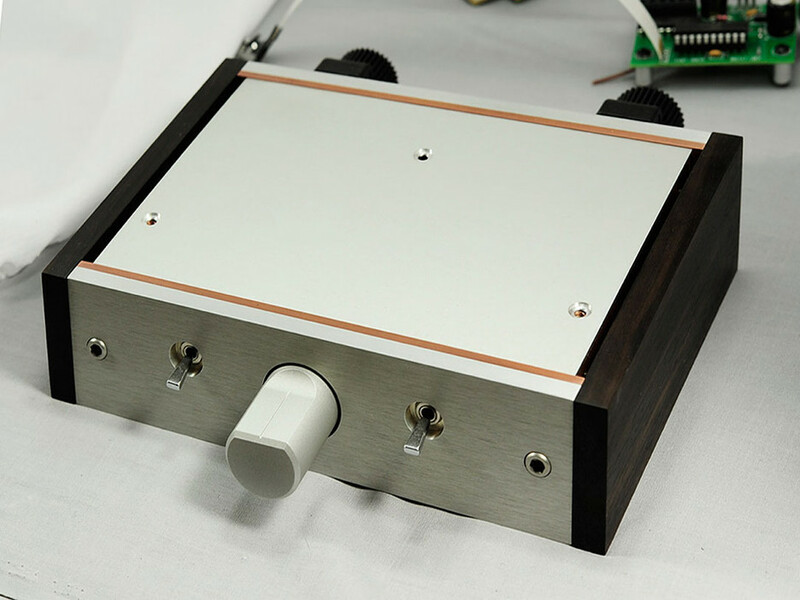 There is also choice of different Cardas binding posts and front volume knobs. 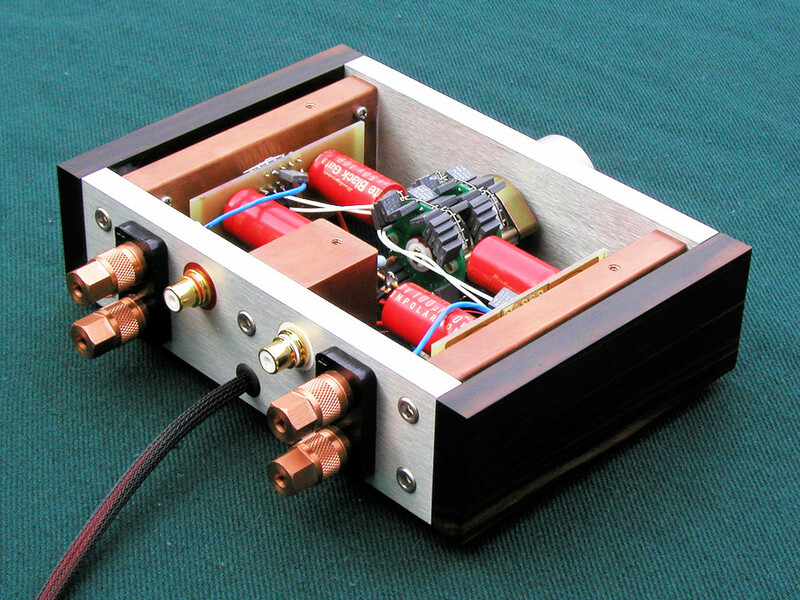 With all the extra copper blocks, this amp is substantially heavier than regular Patek. 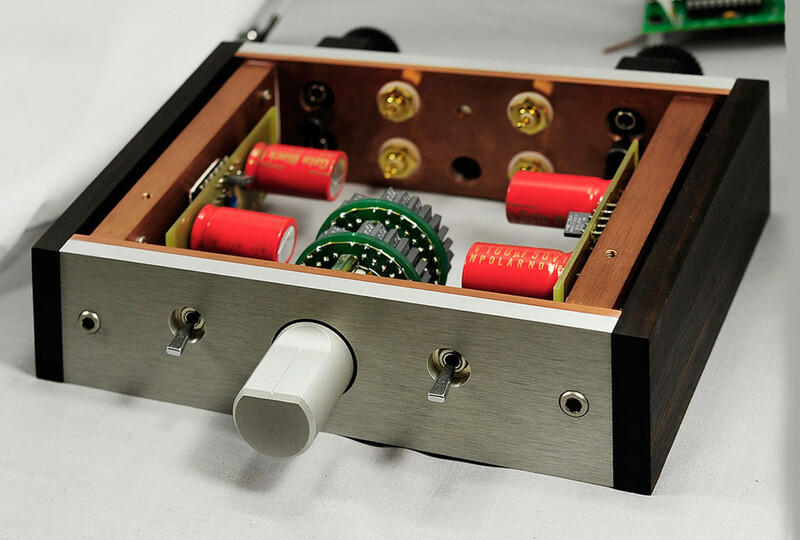 Power supply is the same as Patek amp. Please contact to place the order or in case of any question.